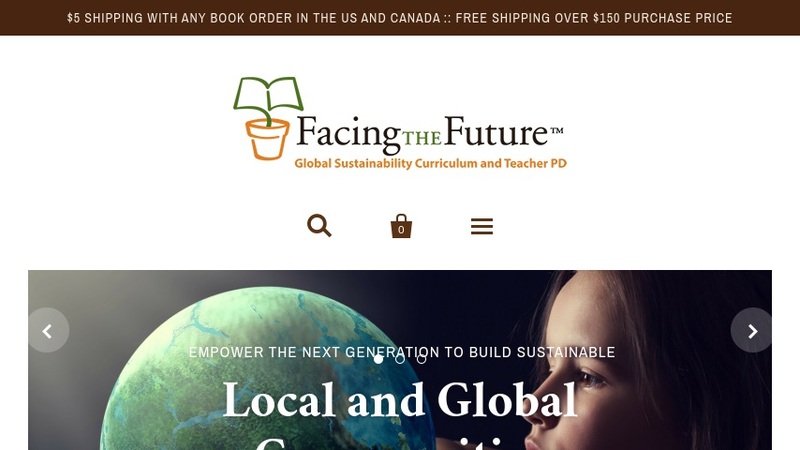 Facing the Future(TM) provides educational materials and professional development opportunities for educators that address environmental issues such as population growth, poverty and equity, consumption trends, peace and conflict, health, climate change, and sustainability. These materials include textbooks for students, service learning and action projects, and curriculum units with activities and lesson plans that meet educational standards. The organization's web site provides information on downloading and/or purchasing these materials, information on a featured curriculum unit, news and event announcements, and information on professional development opportunities for in-service and pre-service educators.